Recent revisions to Polish environment laws have led to widespread deforestation all over Poland in the past several months – and Krakow has been especially hard hit, reports Gazeta Krakowska. The law, dubbed “Lex Szyszko” after Polish Environment Minister Jan Szyszko, took effect at the beginning of this year and liberalized the cutting of trees on private property. 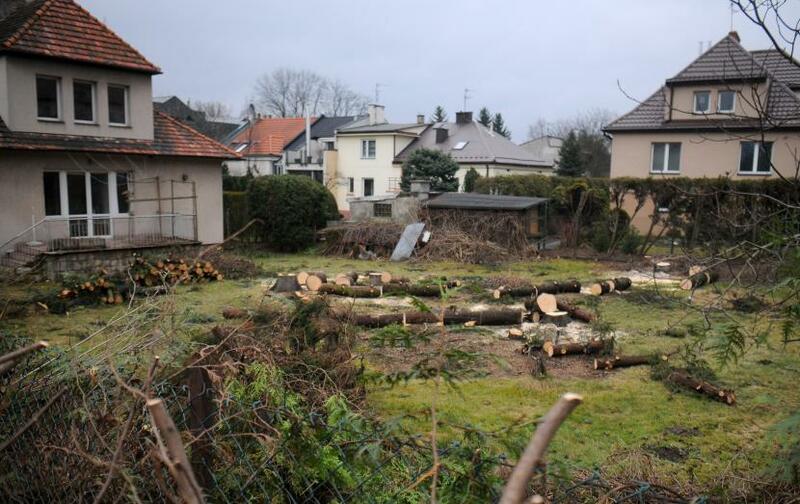 Landowners have taken advantage of this, legally felling over a thousand trees (estimated) in Krakow in February alone. Additionally, though, there has been a simultaneous increase in illegal logging on public property by those who misunderstand or ignore the law. Although this may be punishable by steep fines, it has often proven difficult for local authorities to arrive on time to catch perpetrators. The Polish government has proposed changes to the law which would add some additional restrictions to which trees may be cut, but debates on the subject have been postponed multiple times. Locals gathered on Krakow’s Main Square late last month to protest. Krakow has one of the unhealthiest environments in Europe and has already this year exceeded the annual smog limit recommended by the European Union. 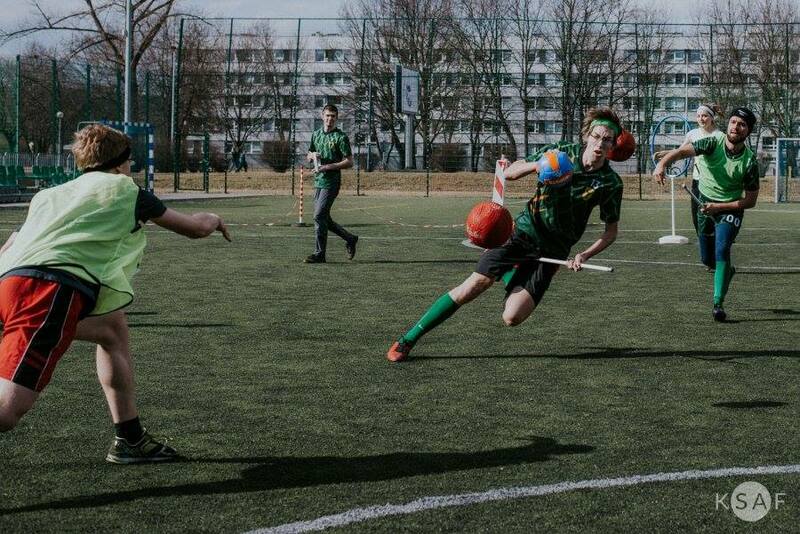 As if Wawel Royal Castle and a legendary dragon didn’t make Krakow magical enough, did you know that the city also has a Quidditch team? It does! For those living in an underground bunker for the last 20 years, Quidditch originated as a magical sport played midair on broomsticks in the wizarding world of J.K. Rowling’s Harry Potter series. In 2005, a group of creative Americans adapted the rules for our Muggle world, which include players running around with sticks between their legs (see above) and a neutral participant with a tennis ball hanging out of their shorts to represent the magical flying Snitch whose capture ends the game. The local team, the Krakow Dragons, was founded in 2015 and has placed first and second among the five Polish teams in the seasons so far. Recently they held tryouts for the next season, but are still open to interested applicants, who can contact them via their Facebook page. The next match in Poland will be in May: the Slavic Cup in Warsaw. The National Museum in Krakow (MNK) has opened a new exhibit called The Power of the Avante-Garde, featuring works which have never before been displayed in Poland. 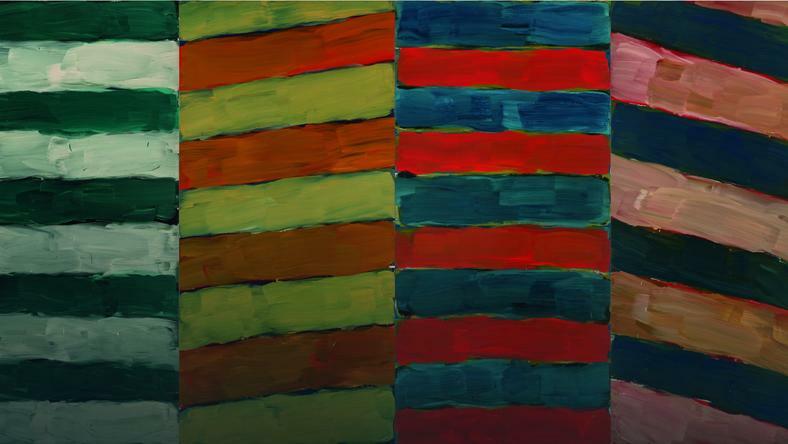 It includes highly-respected artists of the 20th century such as Fernand Léger, Edvard Munch, Kazimir Malevich, Piet Mondrian and Alexander Archipenko, as well as more contemporary and Polish works. The exhibition, which aims to explore the “relevance, inspiration, and power” of the avante-garde, will run through 28 May. Tickets are 14/9 PLN, with the option for group admissions as well.